Morning all! Today I have two polishes to show you that my hubby gave me for Christmas: I Sea the Point and Counting Carats. Funny story, it wasn’t until I was editing photos that I realized I already had I Sea the Point. haha! Oh well. 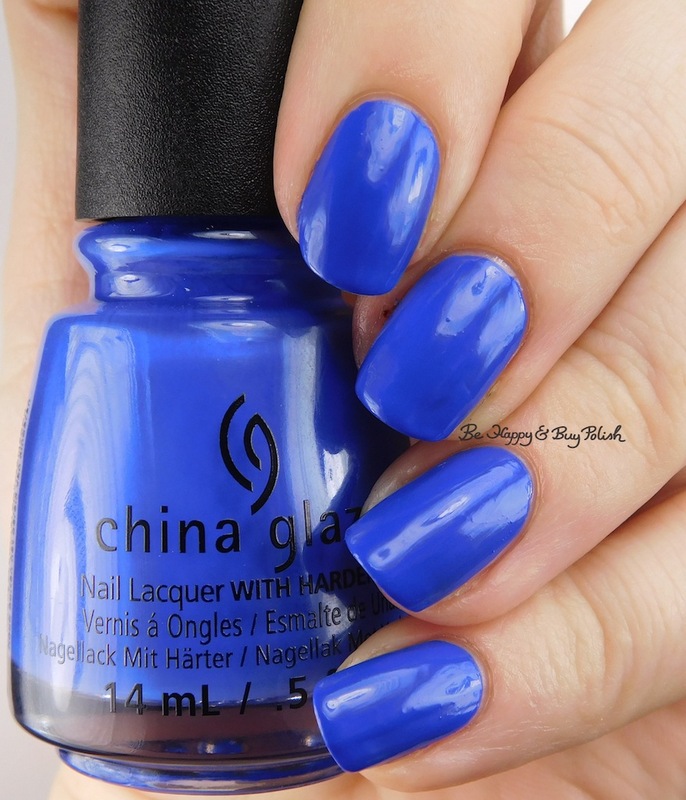 I Sea the Point is a bright blue creme nail polish. This dries matte and fast; formula is thin. This is 2 coats and no top coat. 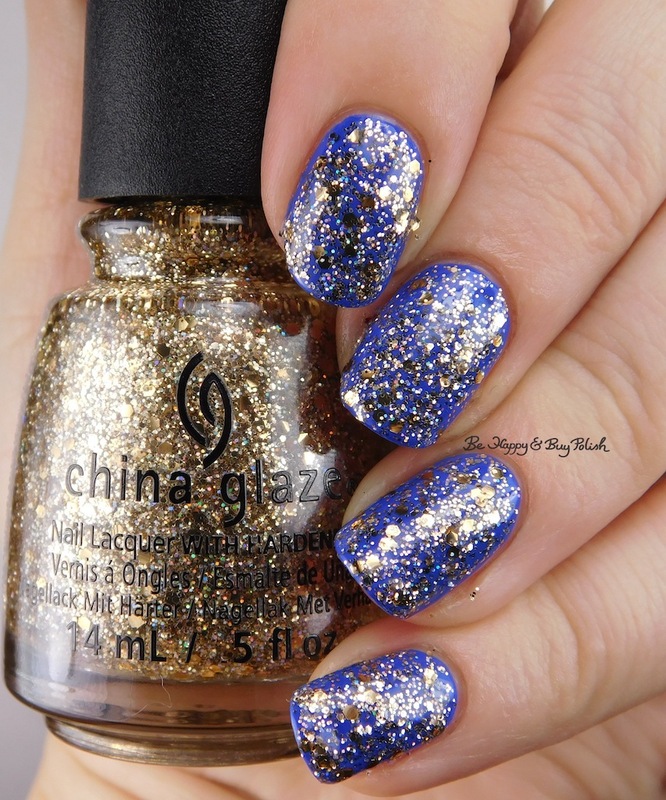 Counting Carats is a clear based gold glitter topper with small holographic glitters. This has lots of clear base but weirdly enough was thick with glitters. It does end up lumpy on the nail so when I use this again, I’ll use the sponge method to apply it. I’m quite proud of the polishes my hubby picked out – he did pick up 2 more China Glaze polishes which I will show you at a later date. Thanks for reading! Both of them look nice. I really like the look of the glitter in particular. These two are very cool together!